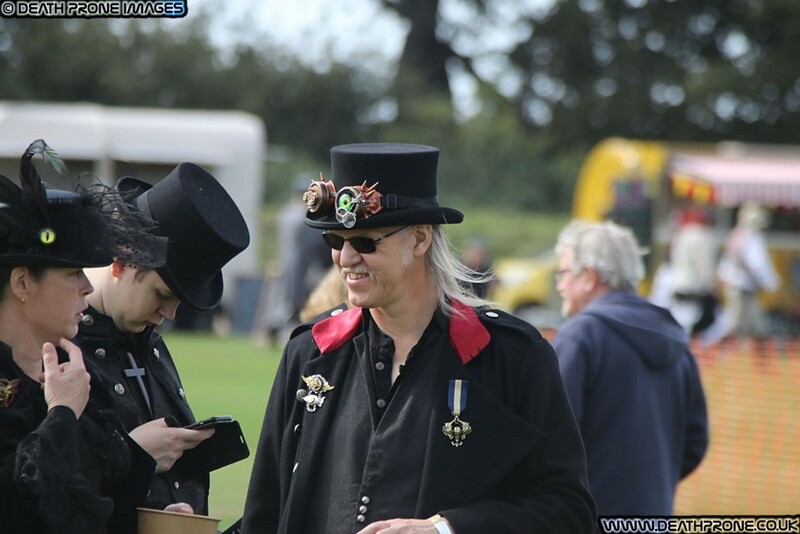 These photos were all from a really great Steampunk Extravaganza event held in Hastings, East Sussex, UK on the 16th of September 2018. 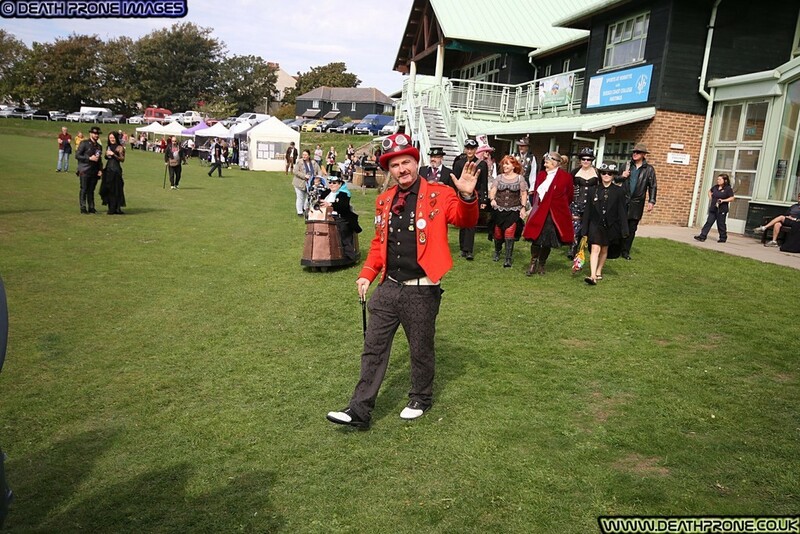 The location was Horntye Park Sports Complex, with things going on inside and outdoors. 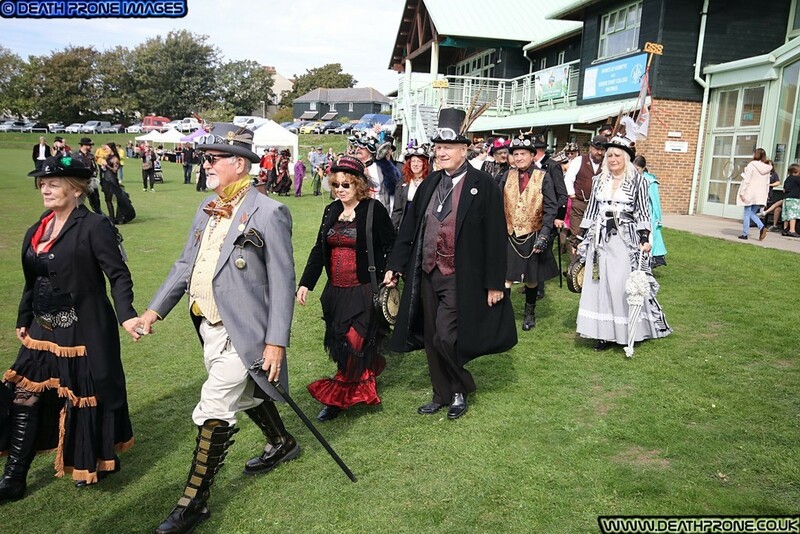 So many great costumes and amazing clothing, from a complete Steampunk style dress, top hat, corset, boots and goggles cosplay costume, to quite normal outfits with just Steampunk goggles added. 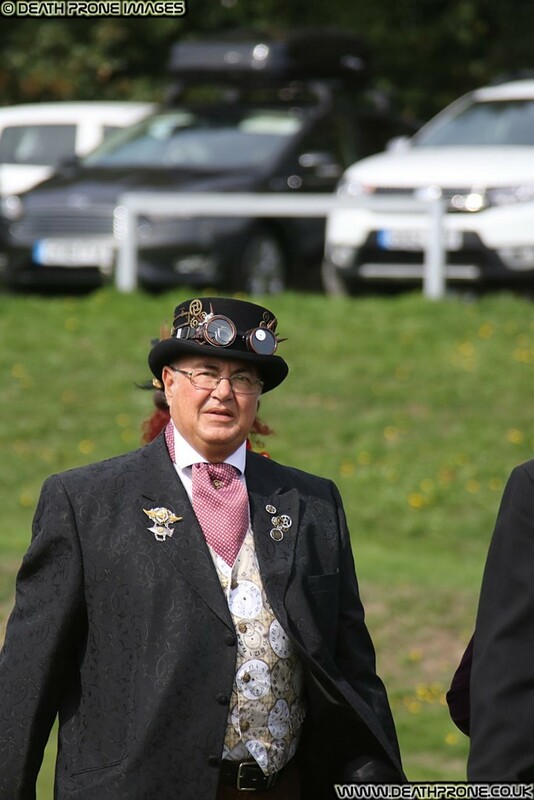 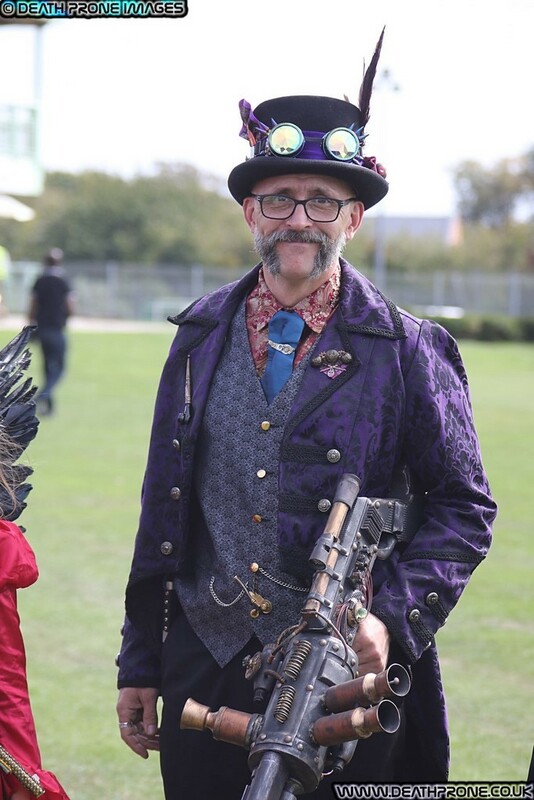 Steampunk fashion is such a varied style, it's very rare to see two people at a Steampunk event in the same costume, unlike most other cosplay type events. 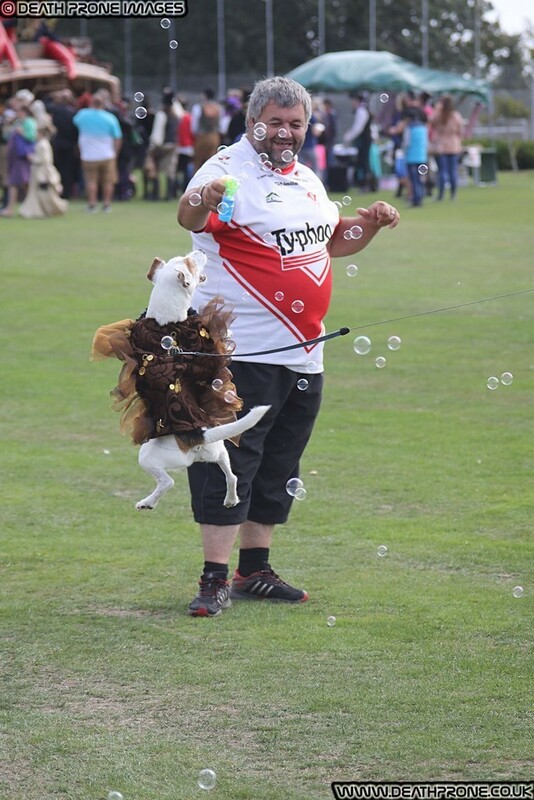 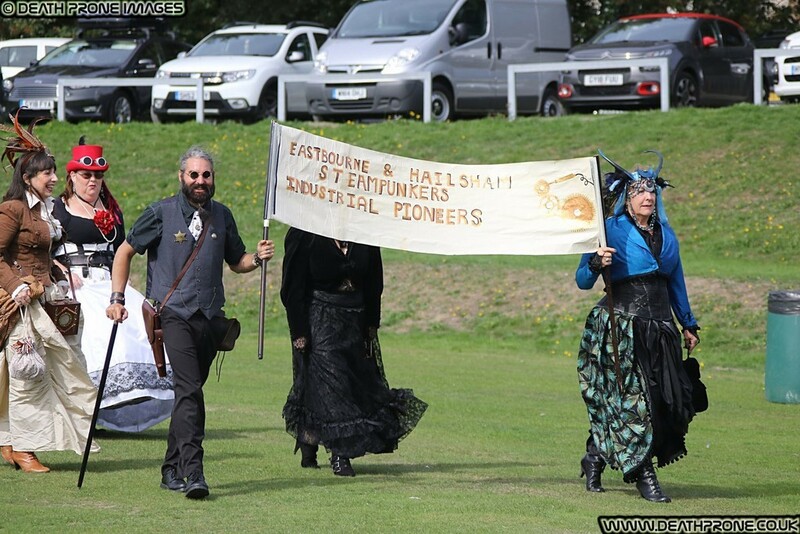 This event had taken place in Hastings before, but on a smaller scale and a different location, I didn't get to that one, but Horntye Park in Hastings worked well for this event. 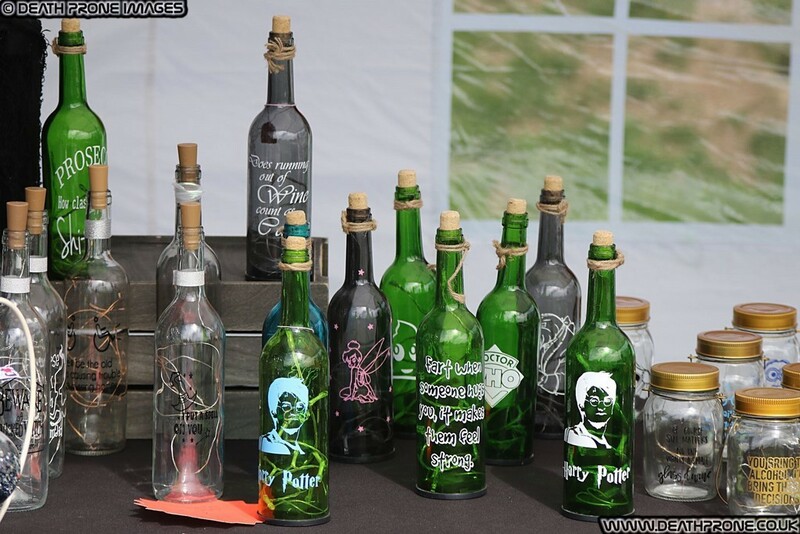 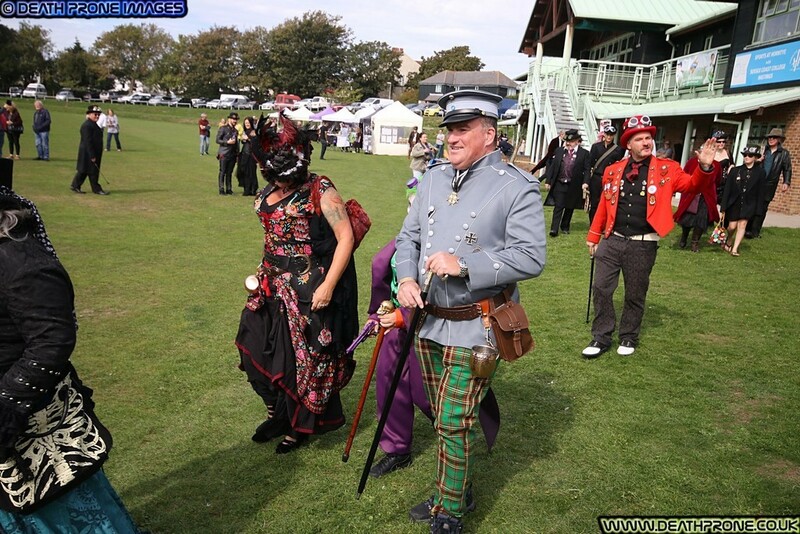 This Steampunk festival was bigger and better extravaganza, with great entertainment, such as Professor Elemental and Alice's Night Circus. 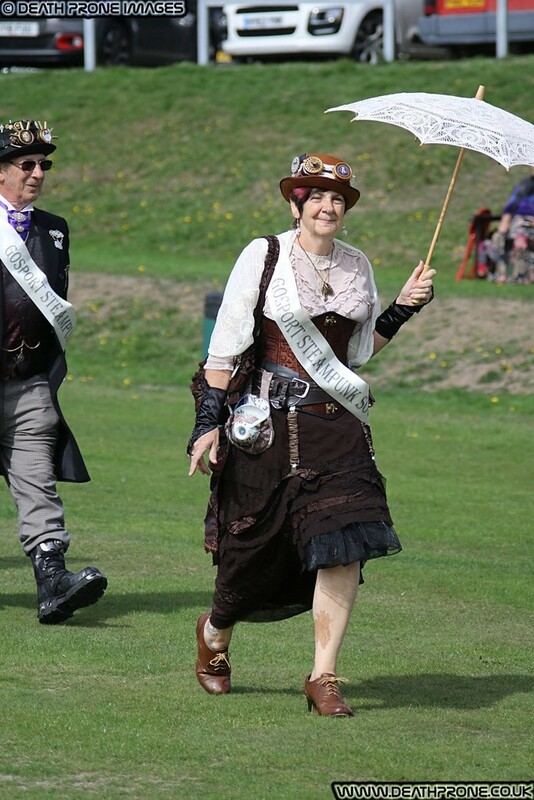 We also had Steampunk games going on, ones such as Tea Dueling, which is actually very entertaining and just one example of the sillier side of these events. 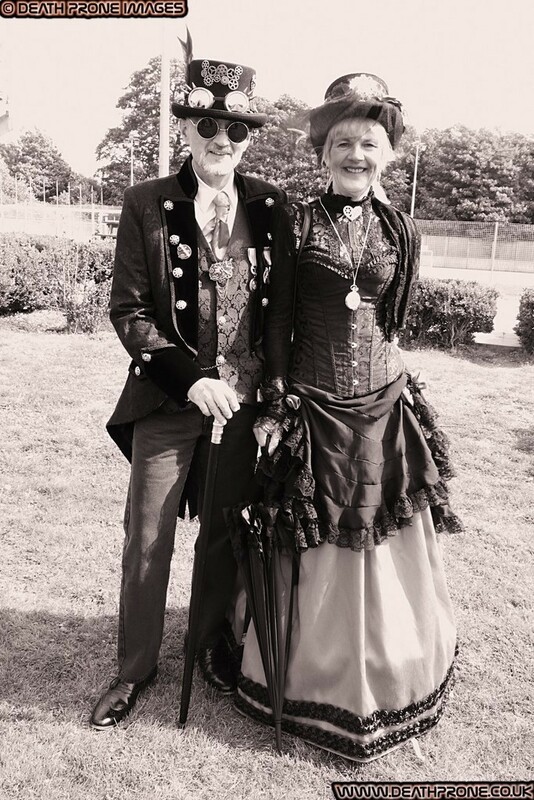 I would love to photograph a Steampunk wedding one day, I have seen other peoples pictures of them, one had such a beautiful wedding dress. 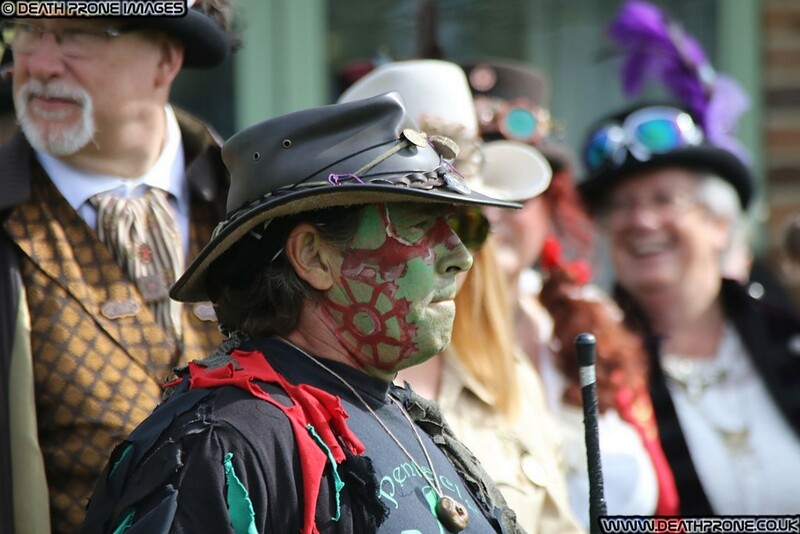 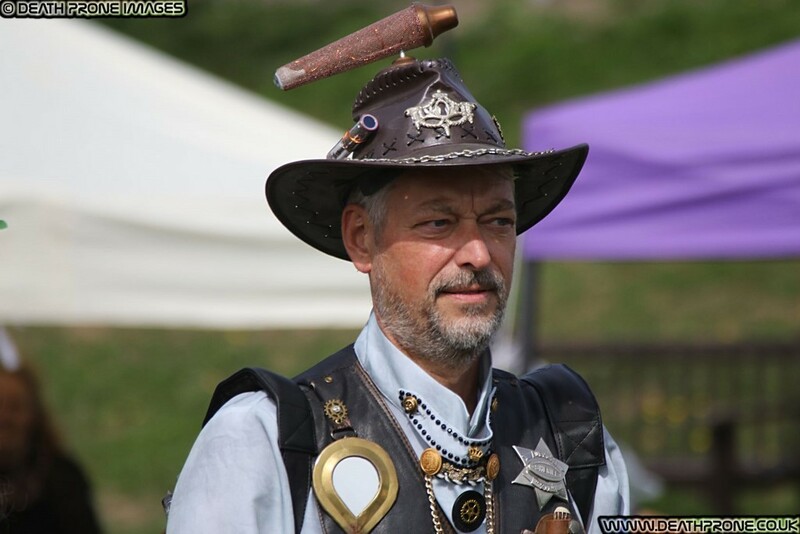 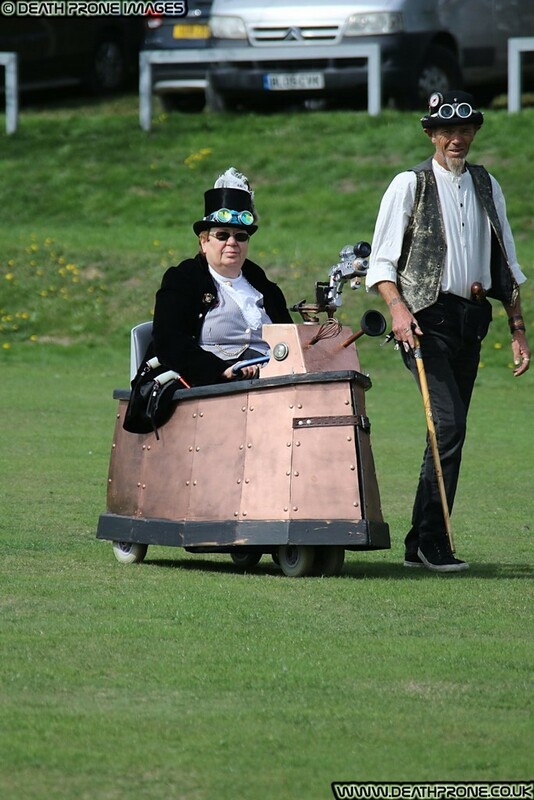 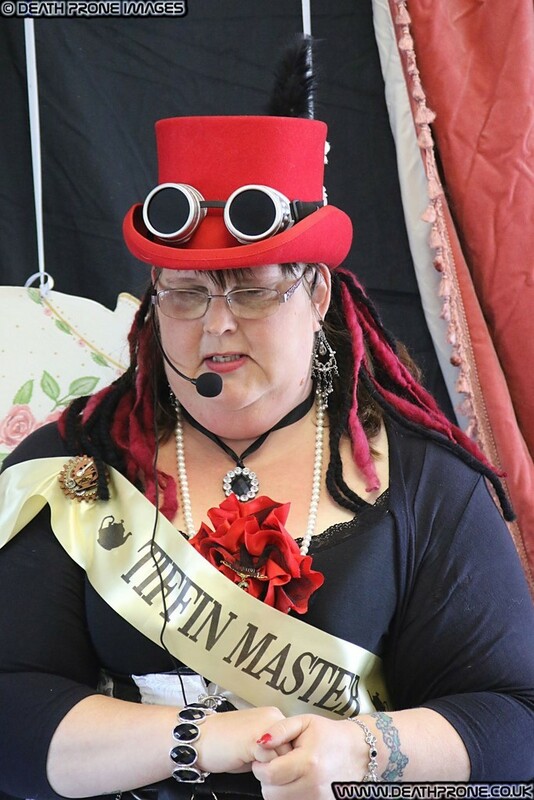 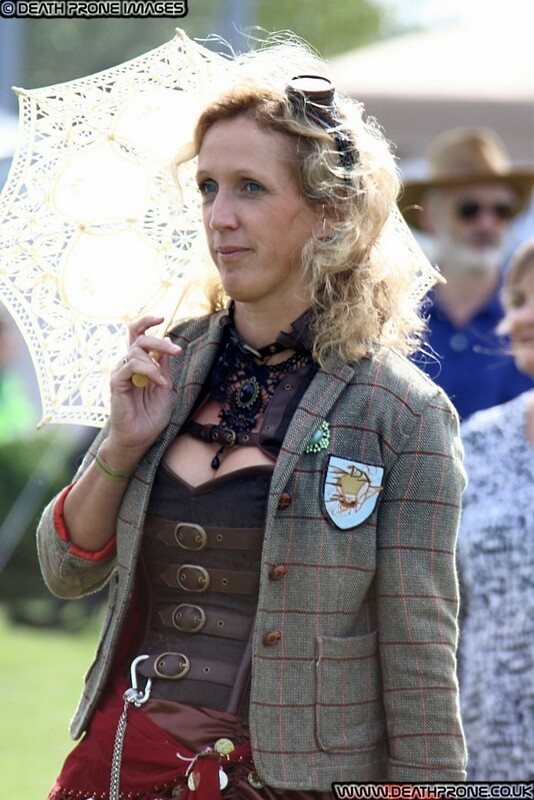 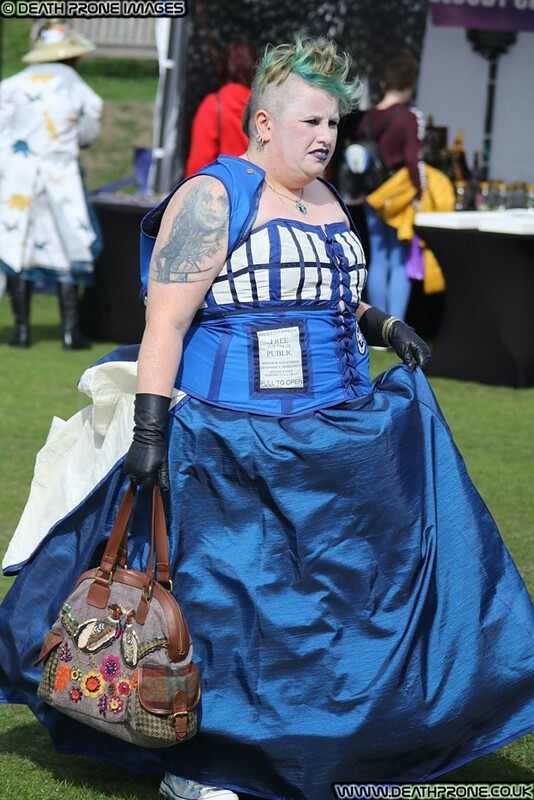 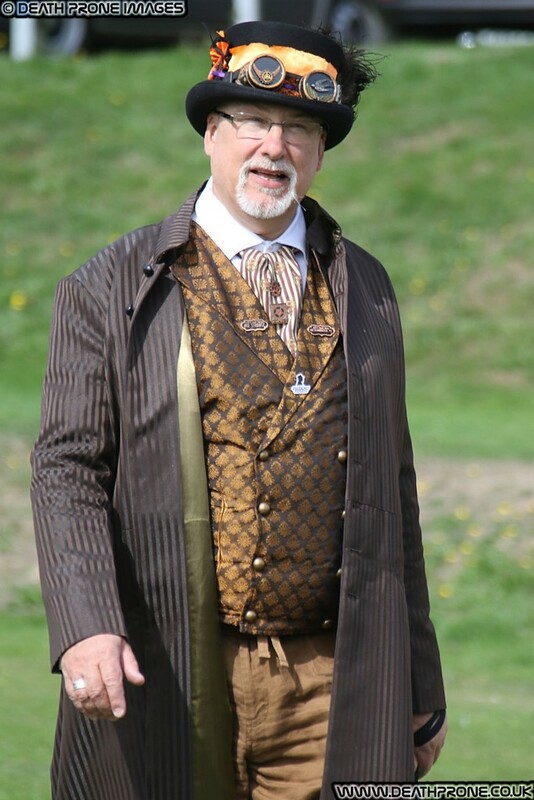 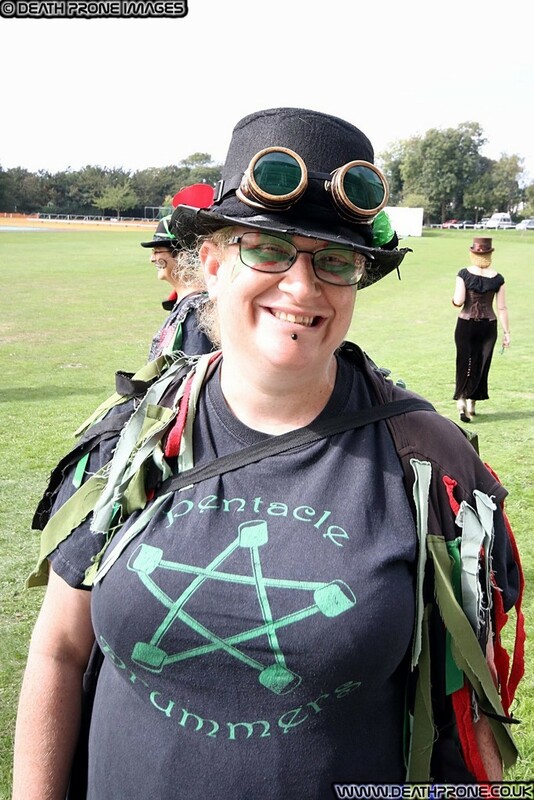 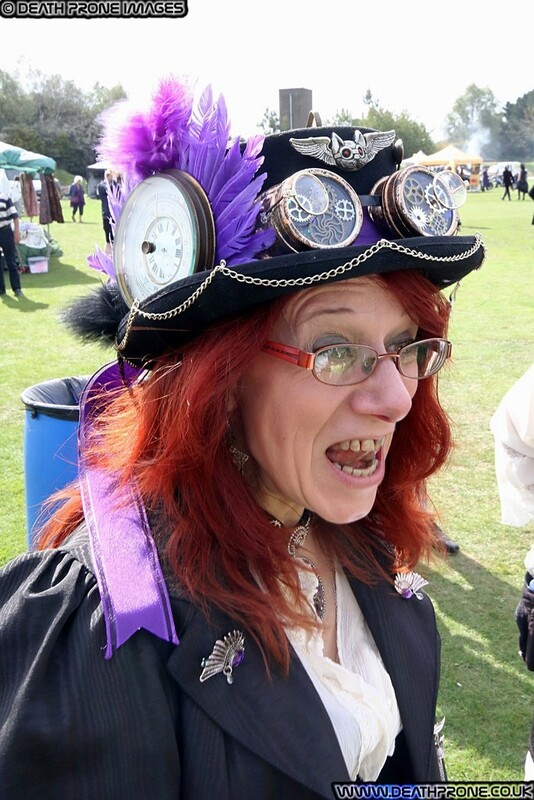 If you came here for a Steampunk definition then that's not easy to do, the best way to learn is to look through photos from events like this or better yet just turn up at one! 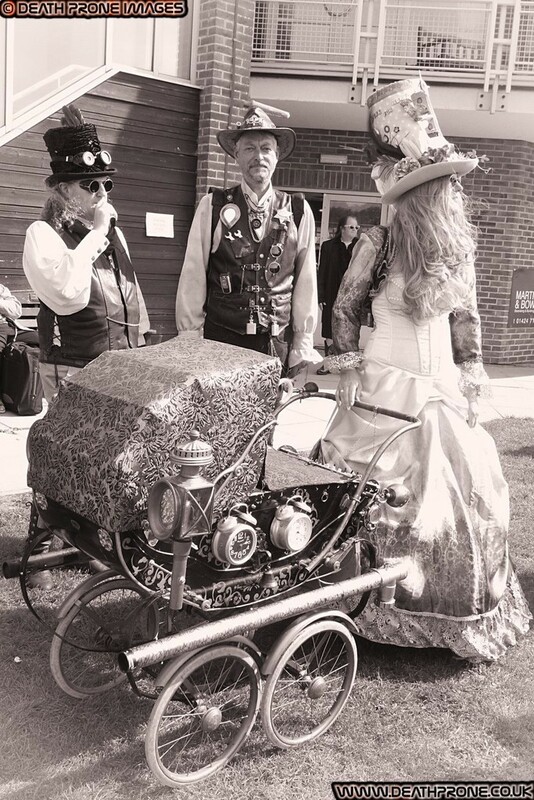 The simplest way if I had to describe it is Victorian steam powered technology, think of the writing of H G Wells and Jules Verne, steam powered space travel, clockwork robots and things like that. 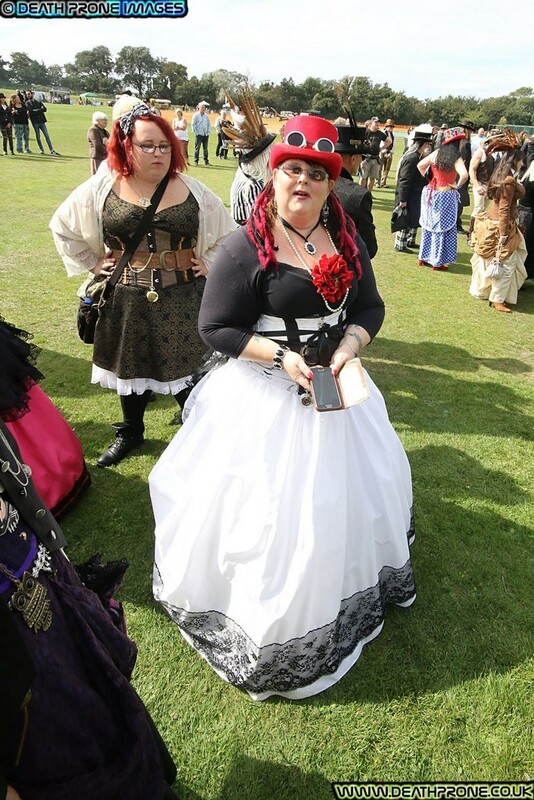 Some just see it as a chance to dress up in Victorian style clothes, but the technology is a big part of it for most people. 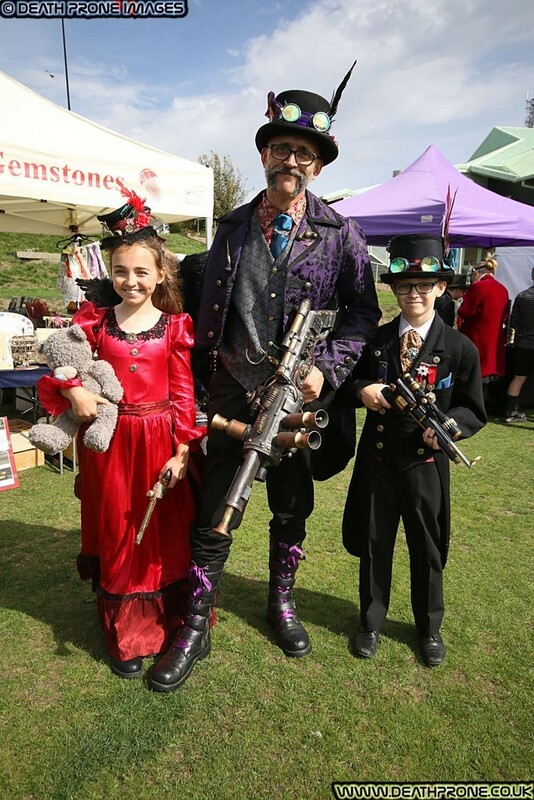 I enjoy customising things like Nerf guns to have a Steampunk look. 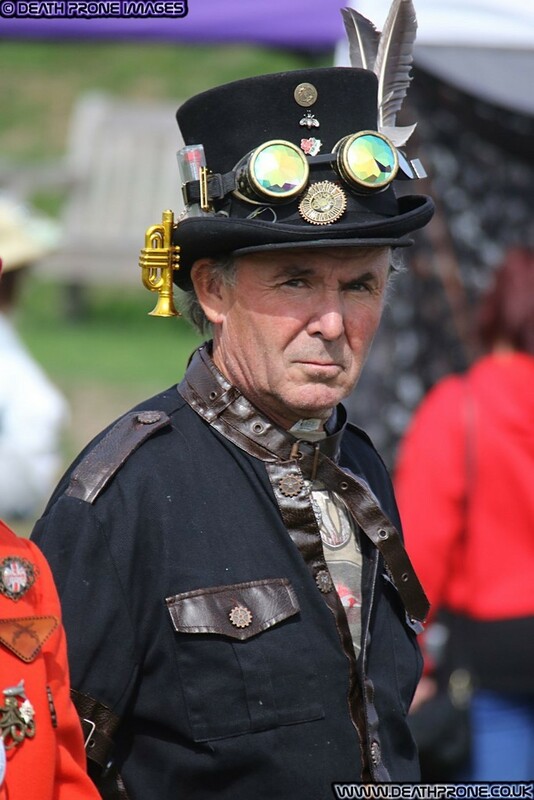 Just because it's Hastings Steampunk Extravaganza it doesn't mean that you need an amazing full Steampunk costume, you would be very welcome at any of the events I have taken photographs at in your normal, everyday clothes, ok for some of my best friends that would be a Steampunk outfit! 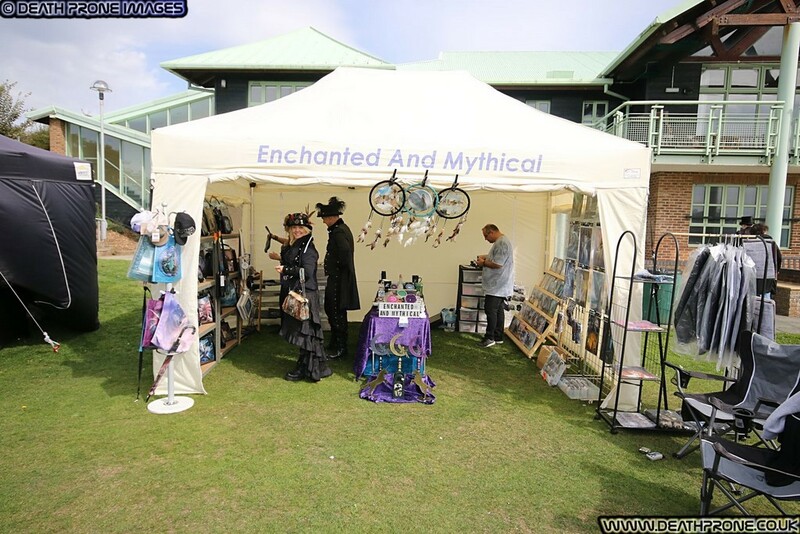 lol At this one there were many stalls selling things to get you started, some quite expensive like Steampunk furniture such lamps, clocks etc. 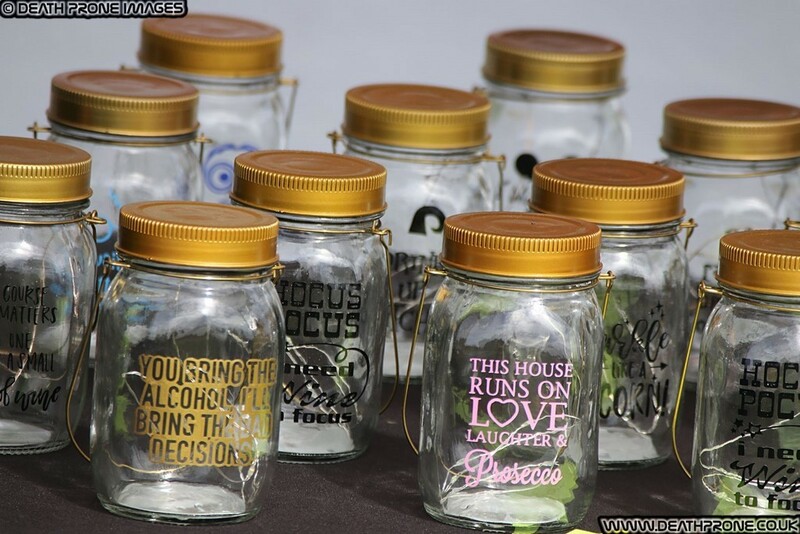 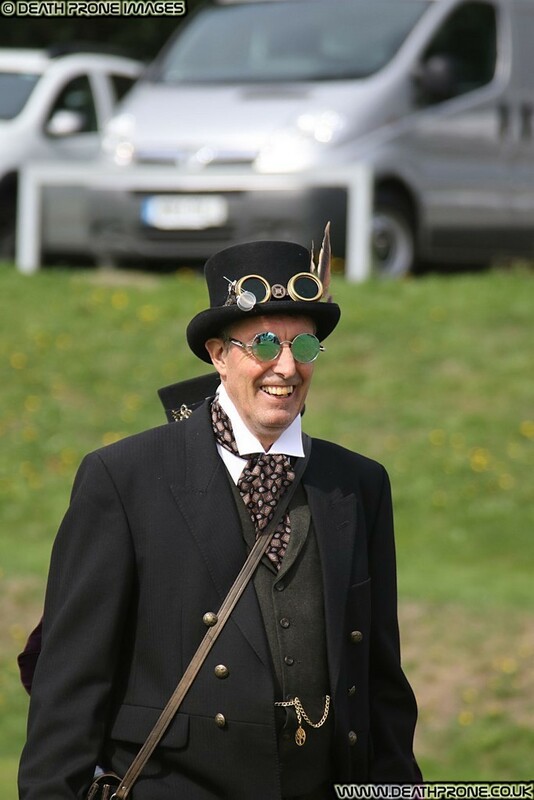 but if like me you have a limited budget then events like these also sell small accessories like Steampunk sunglasses, watches and more. 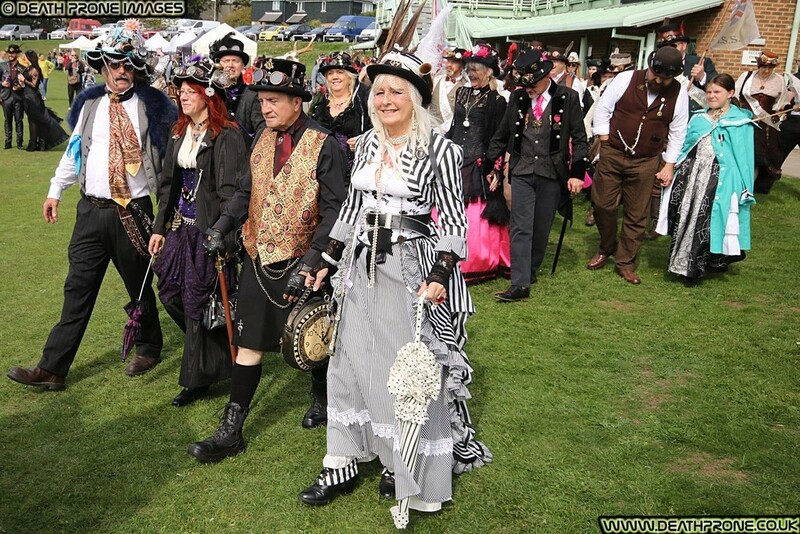 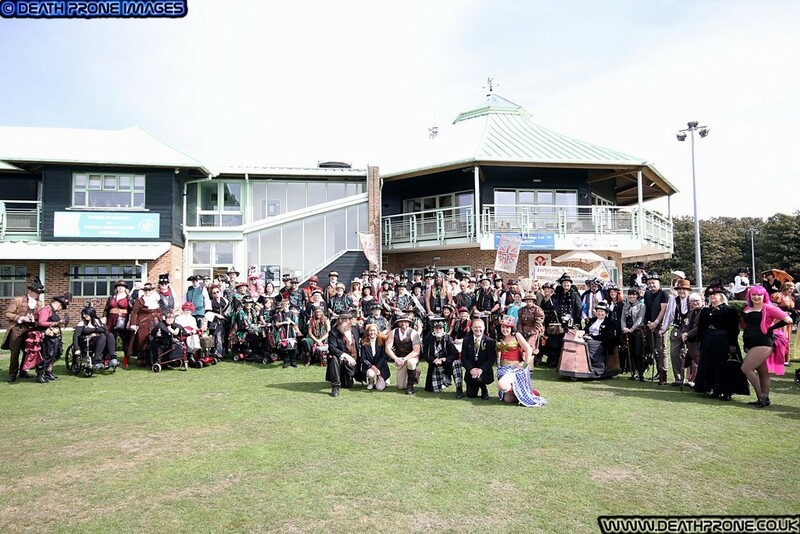 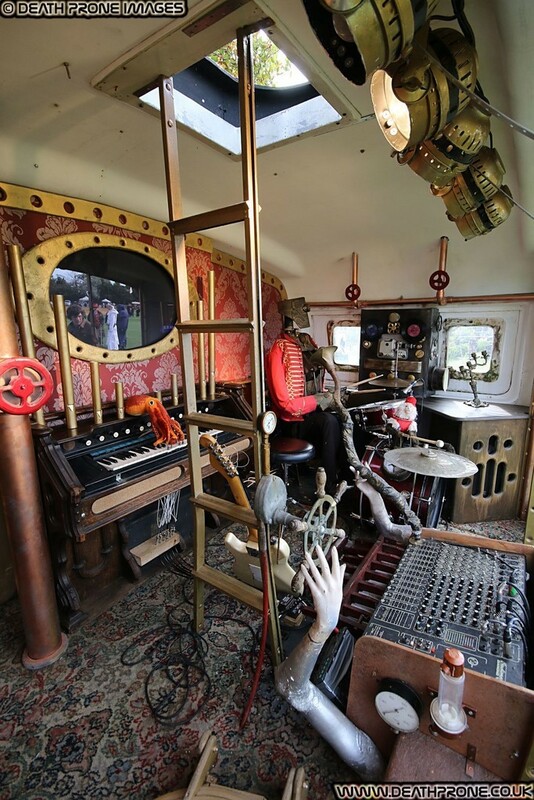 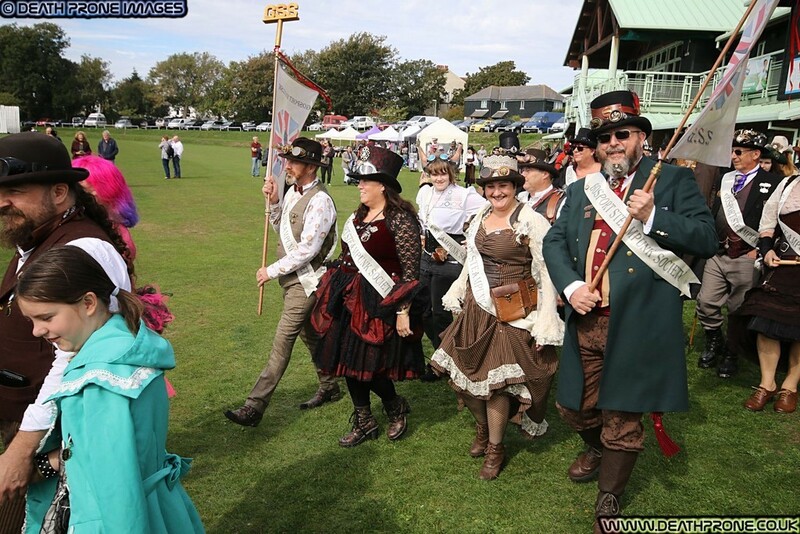 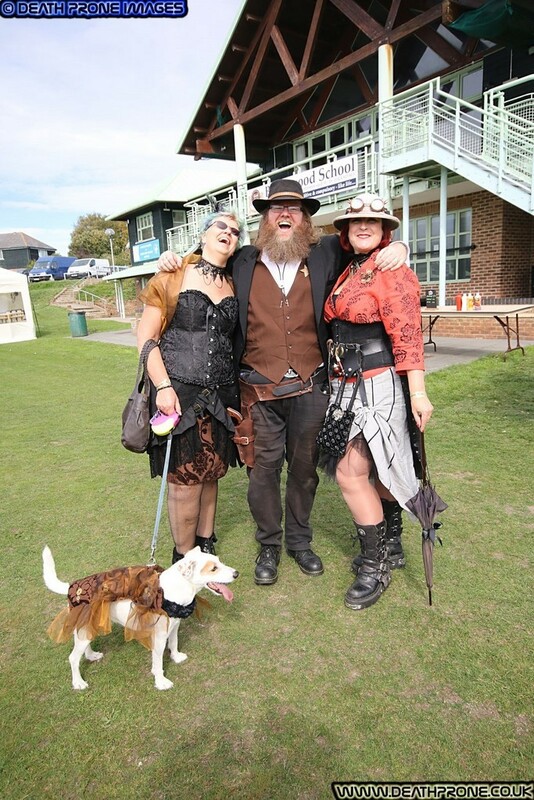 Next year's 2019 Hastings Steampunk Festival will be called the Hastings Steampunk Circus of Curiosities and should be even better than this one, it will be held on Saturday the 14th and Sunday the 15th of September 2019, this festival will be a two day event for the first time. 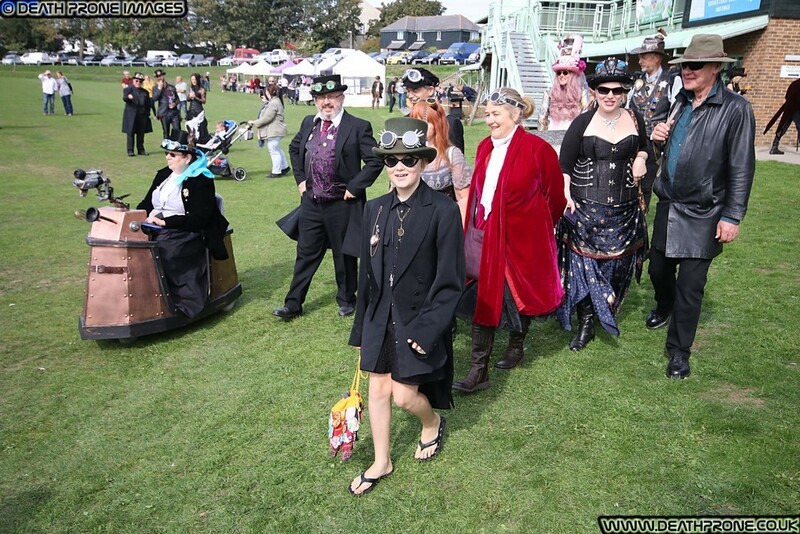 I am definitely planning on being there, I even have a possible special costume in mind, it's something I have planned for a cosplay convention in Eastbourne called Wyntercon, but instead of a basic version of the character I have been considering making a Steampunk version of it, but for now it's a closely guarded secret that virtually nobody knows, it will be my most advanced cosplay so far. 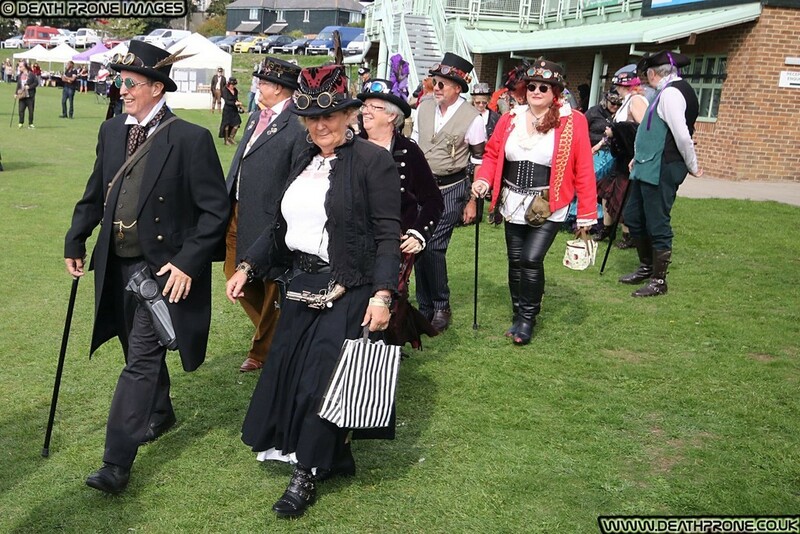 I hope to see all you Steampunk ladies, men and anyone in between there in your best outfits. 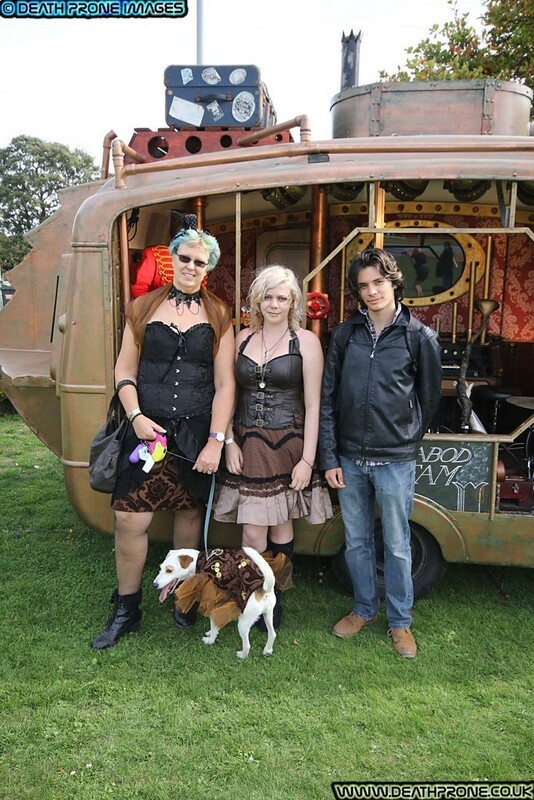 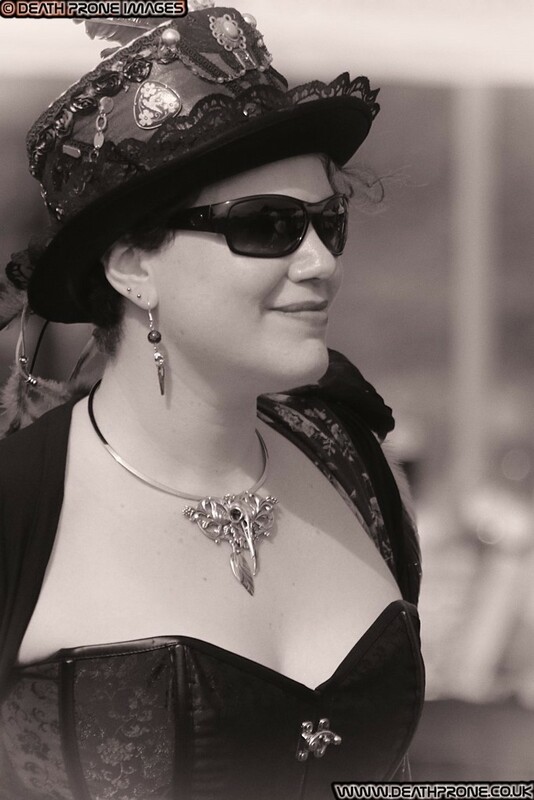 All of these steampunk event photos were taken by non profit freelance photographer Dean Thorpe (me! 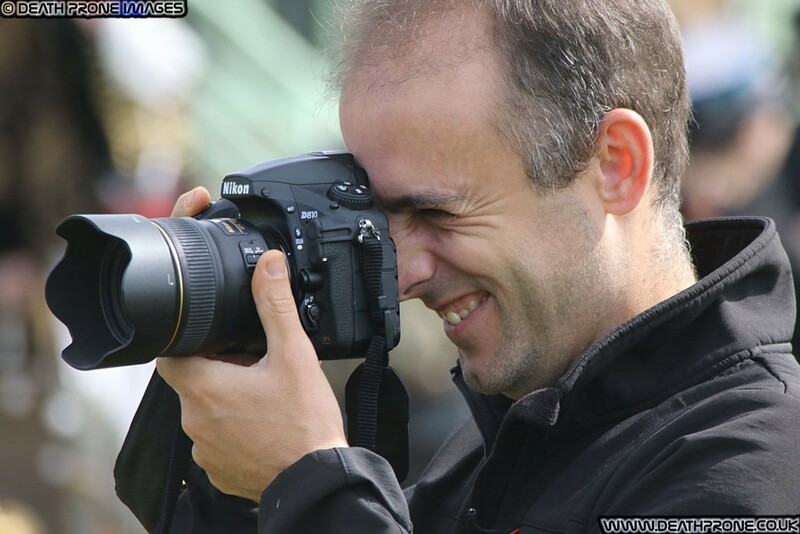 lol) and were shot with a Canon 70D, my favourite weapon of choice at Horntye ParkSports Complex, Bohemia Rd, Hastings. 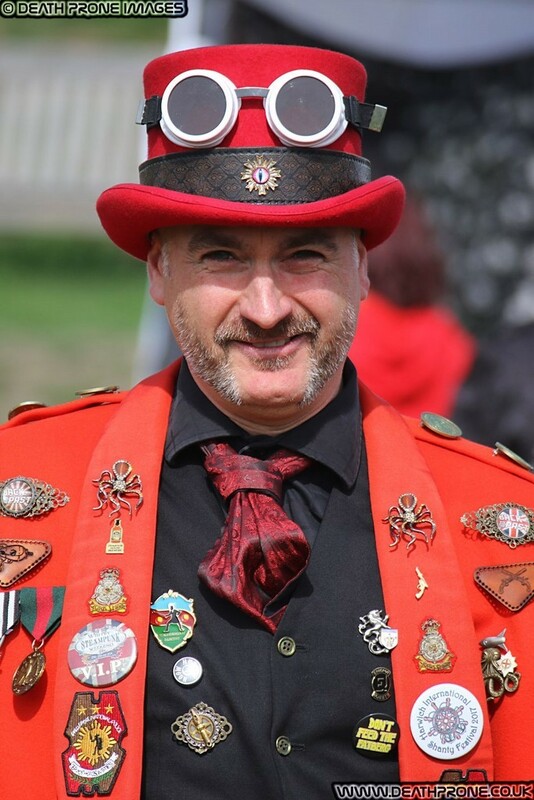 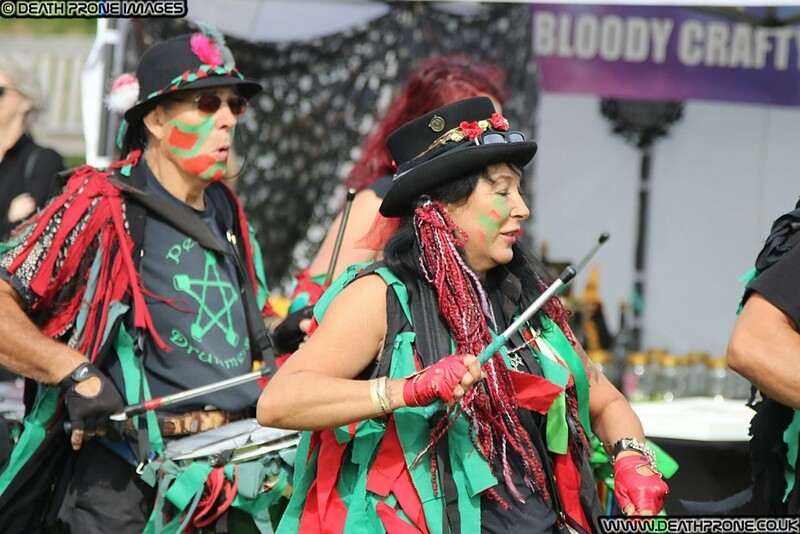 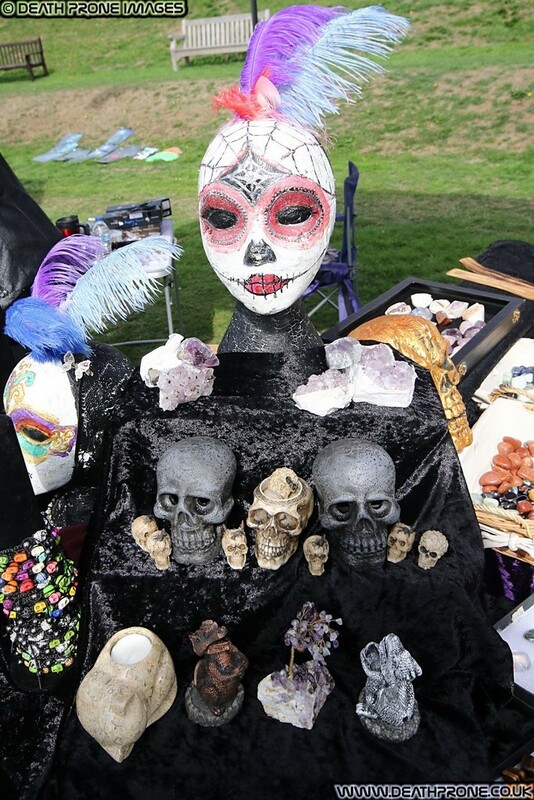 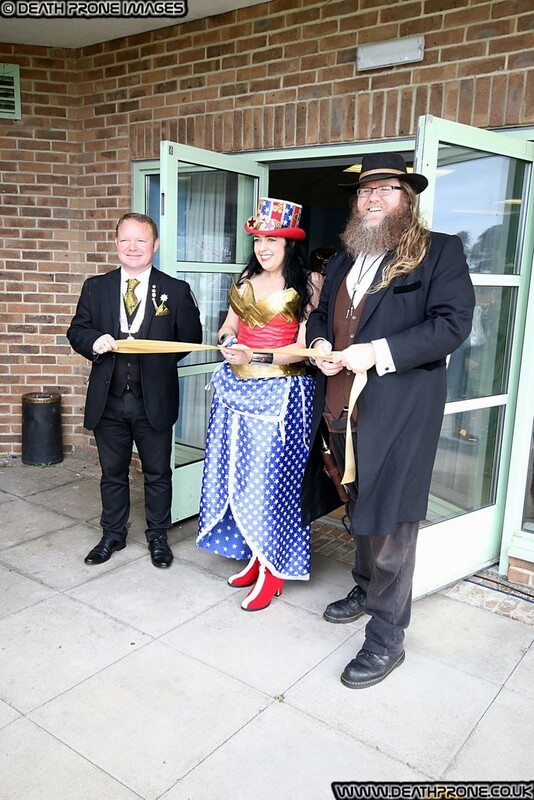 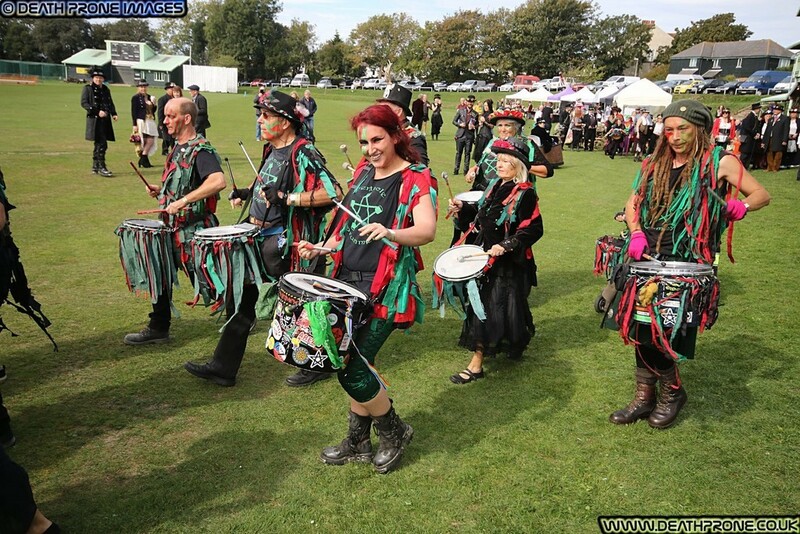 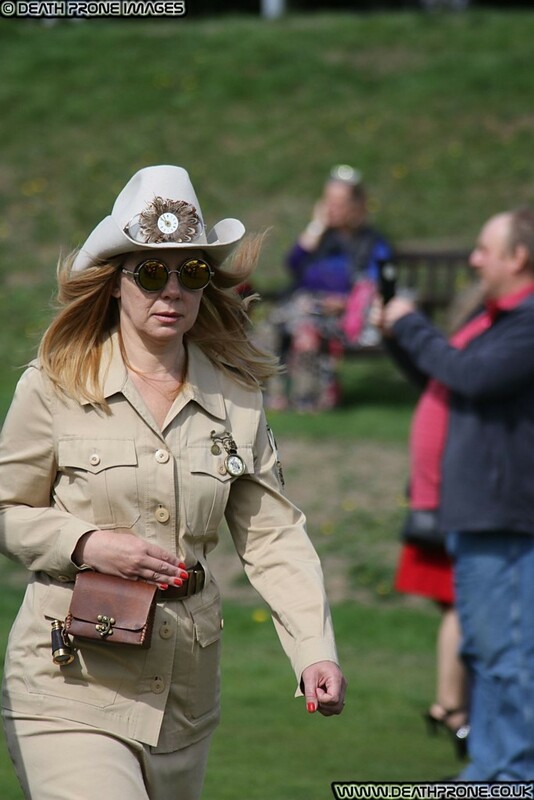 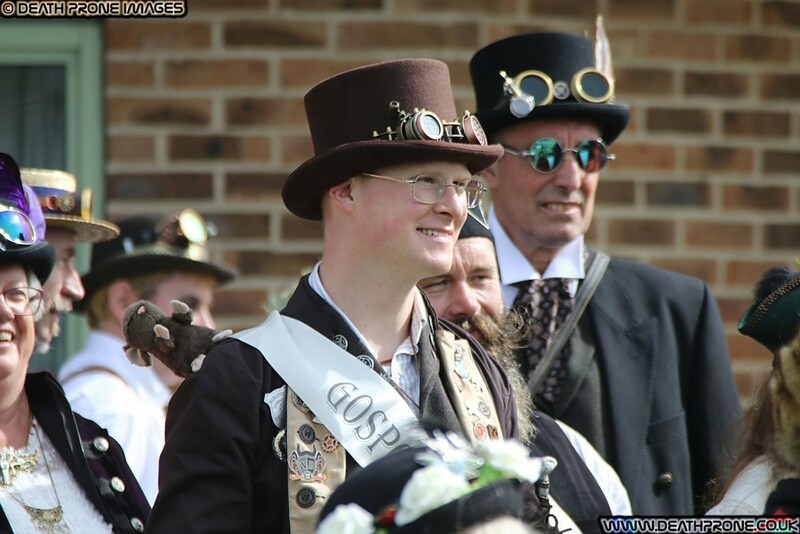 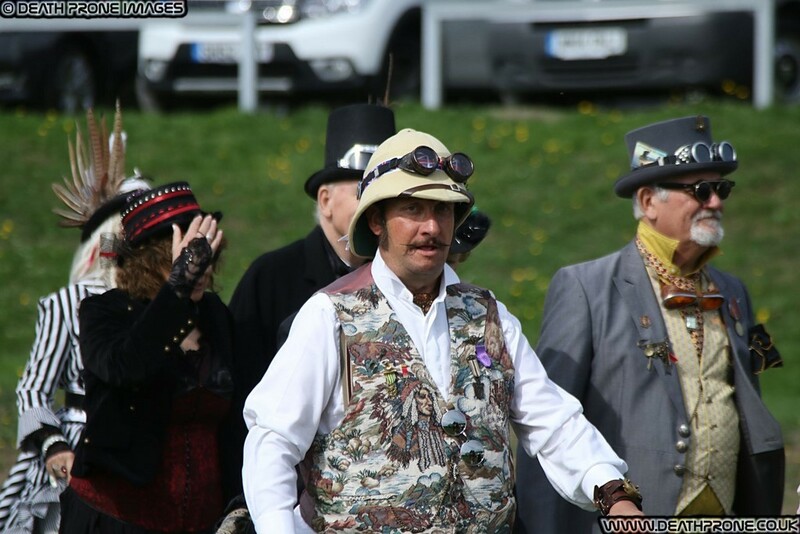 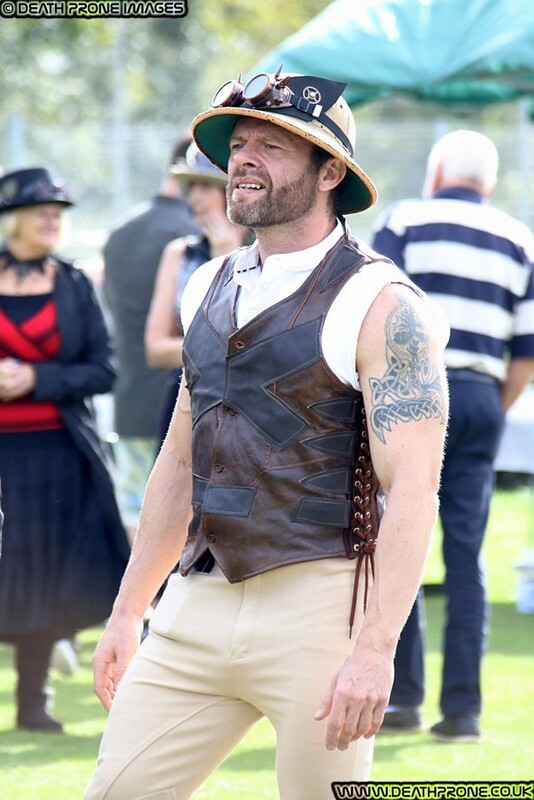 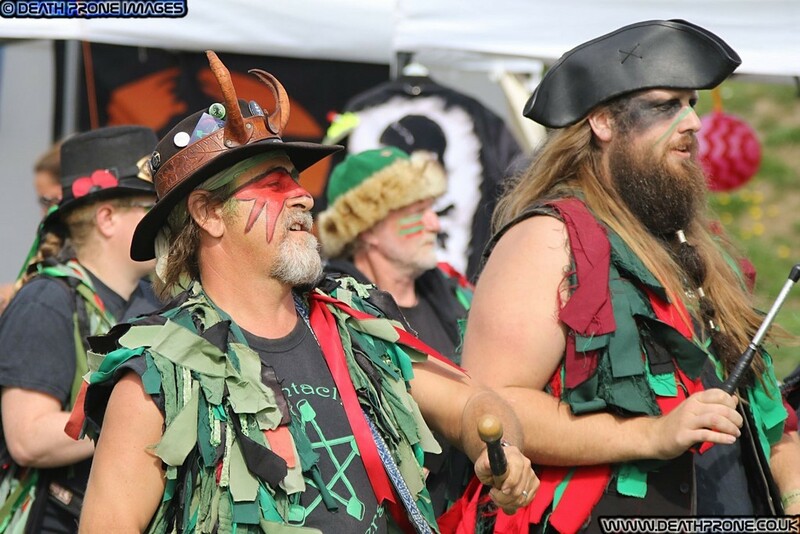 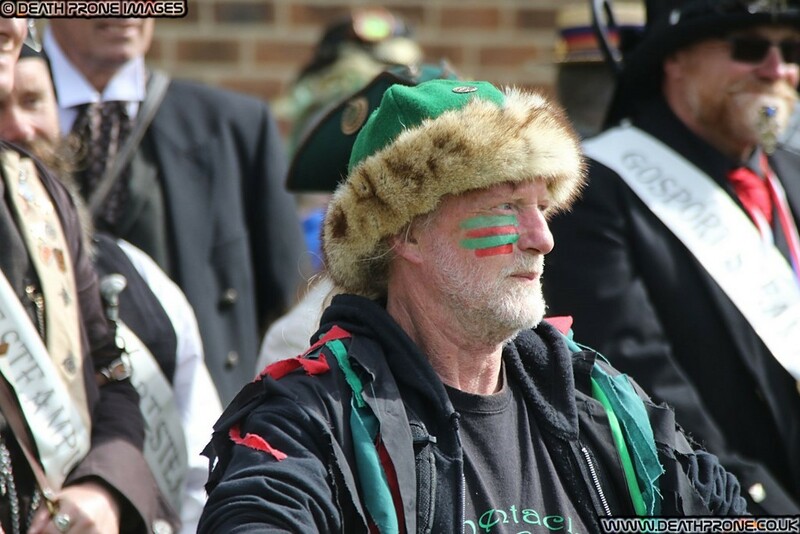 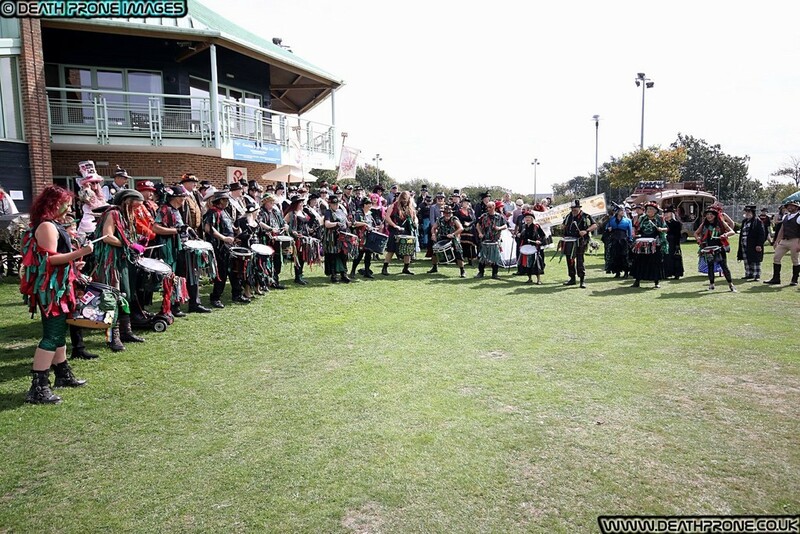 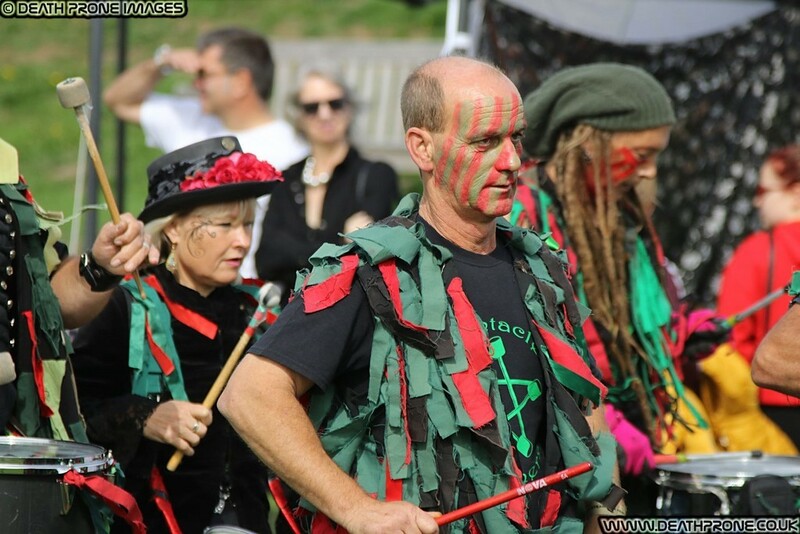 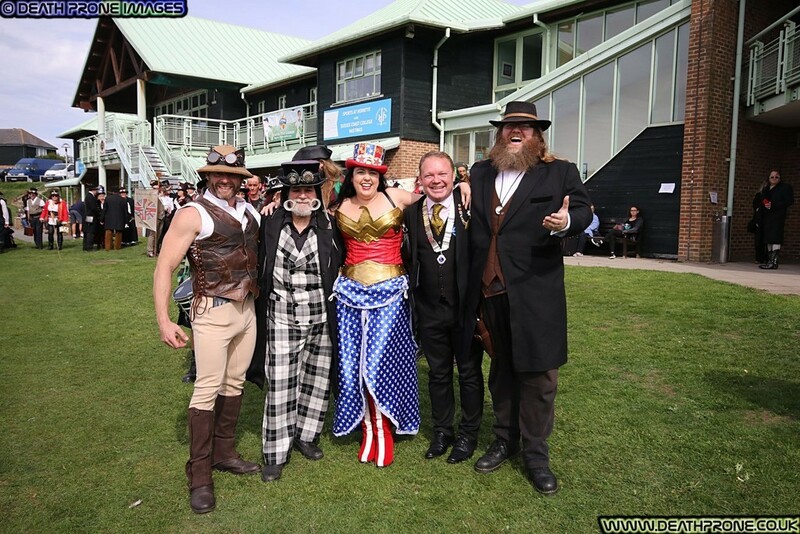 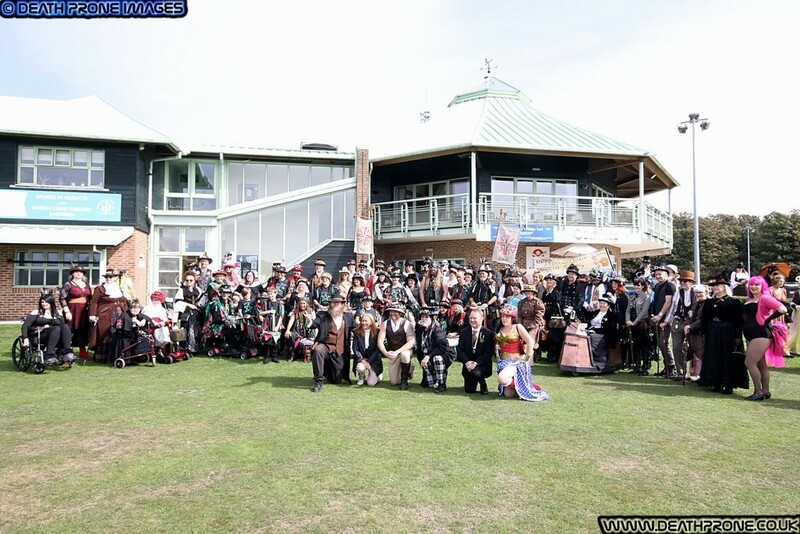 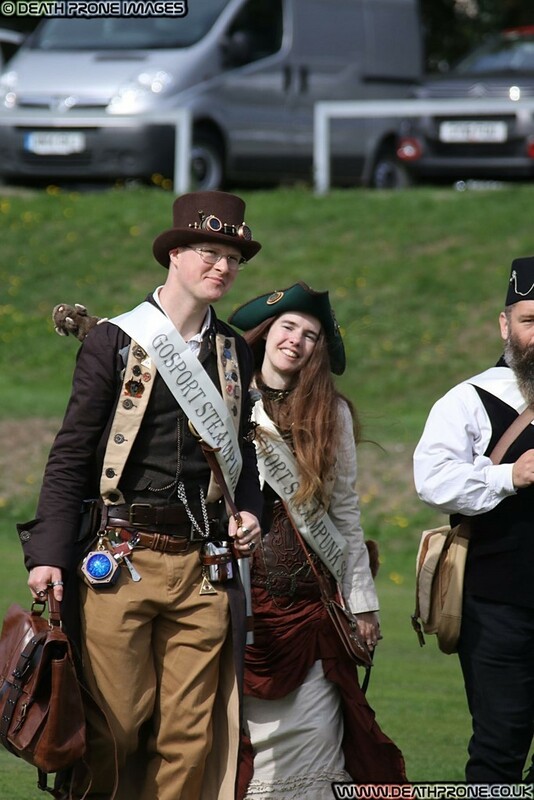 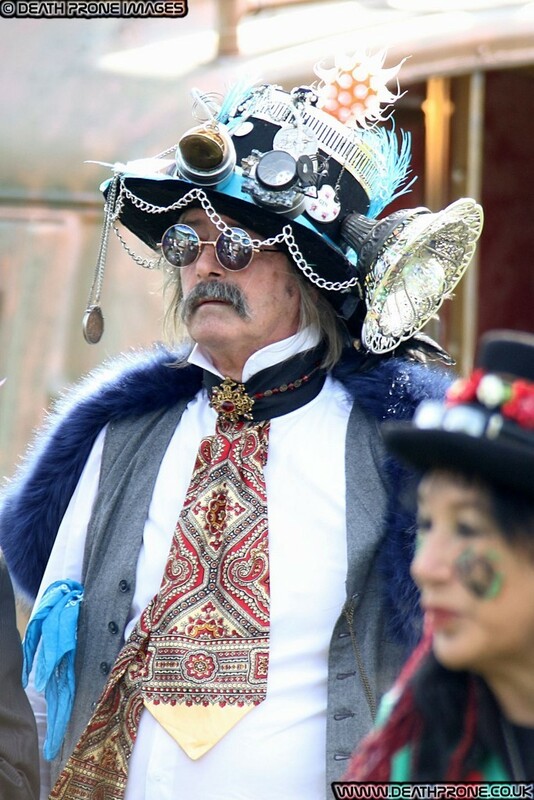 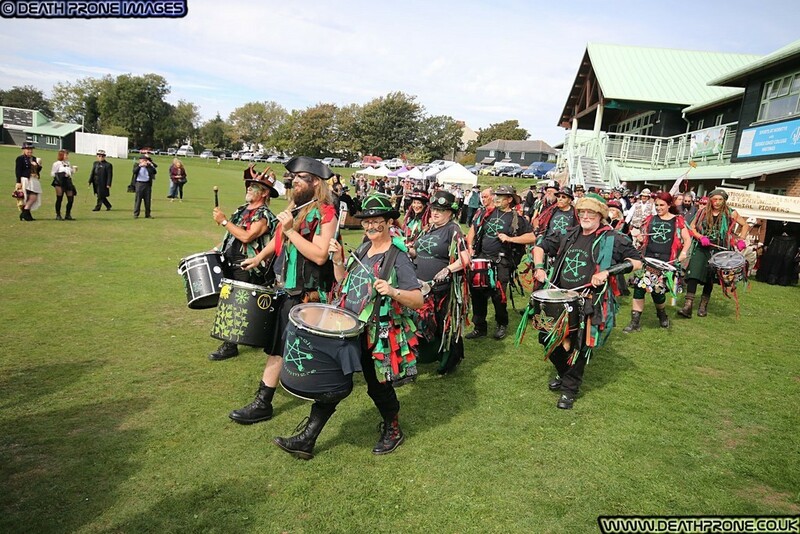 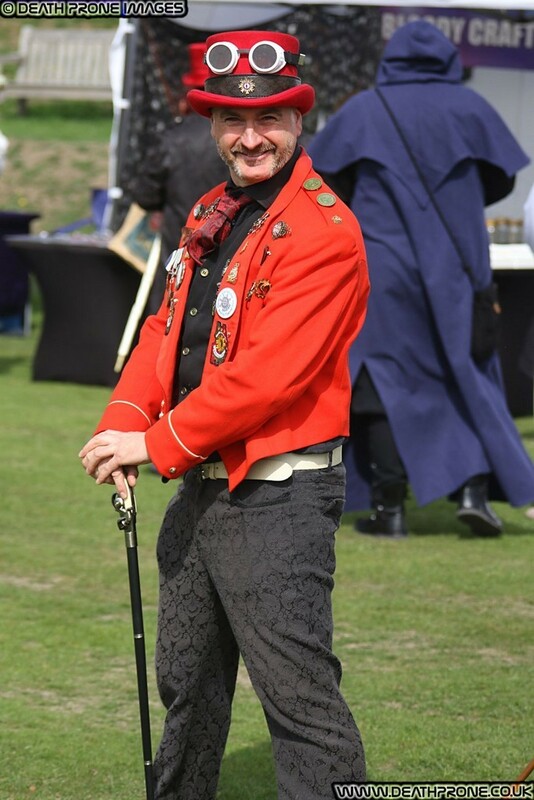 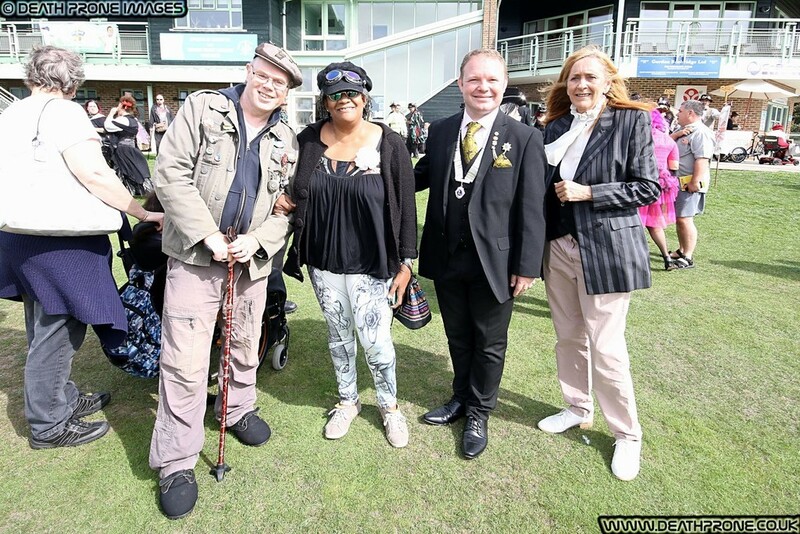 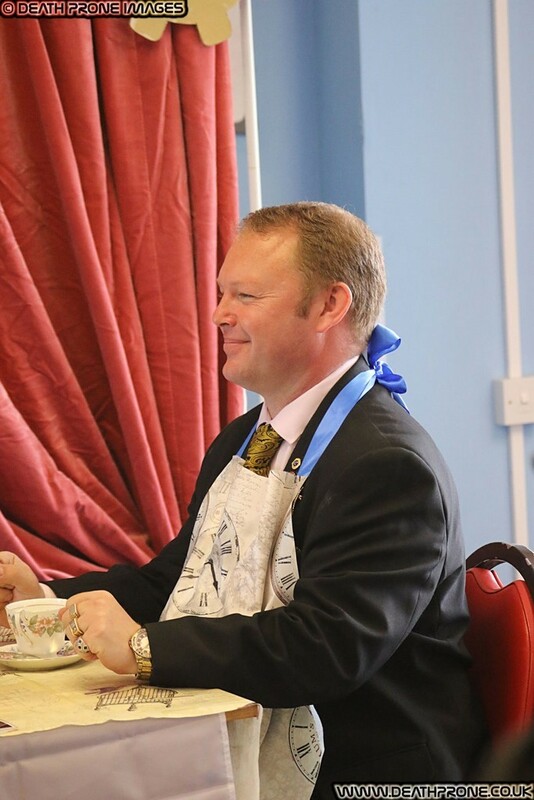 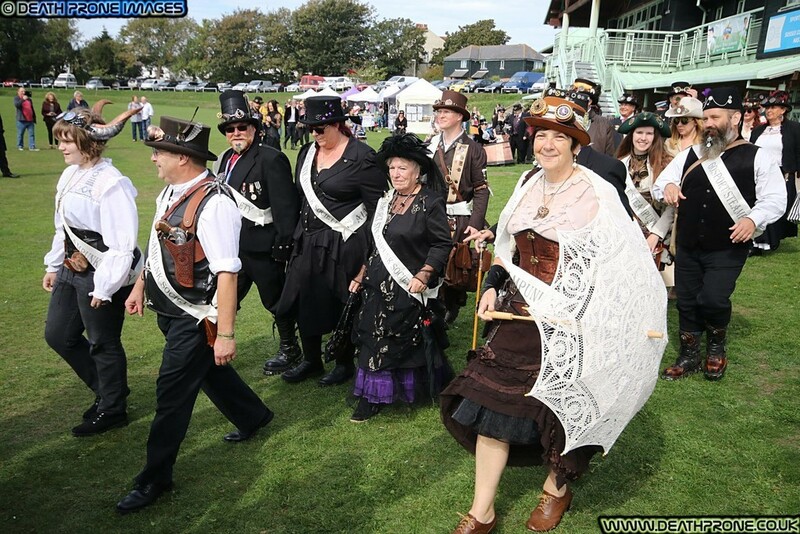 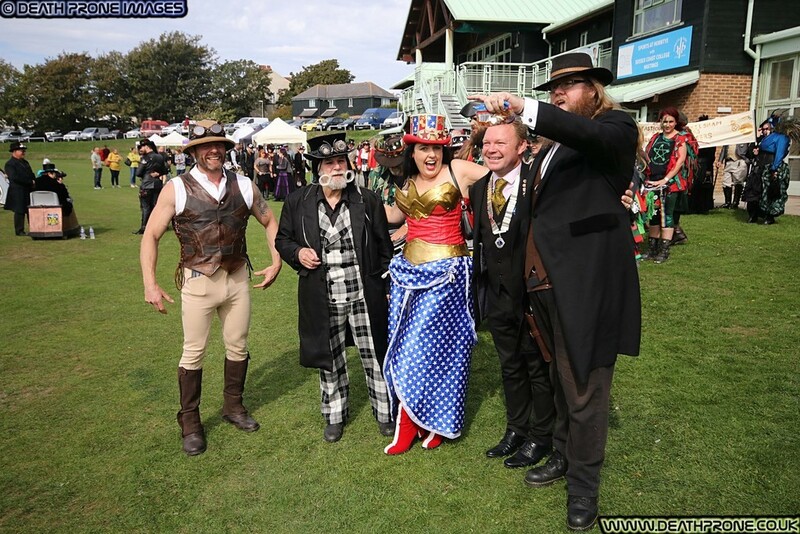 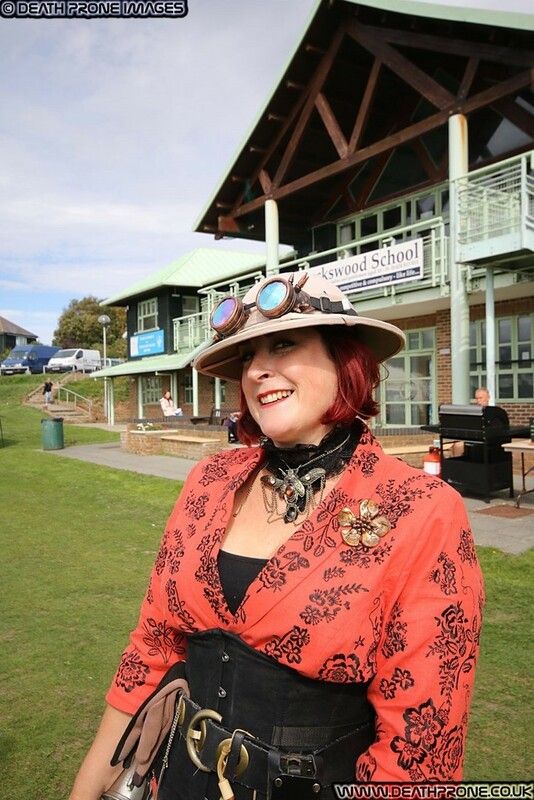 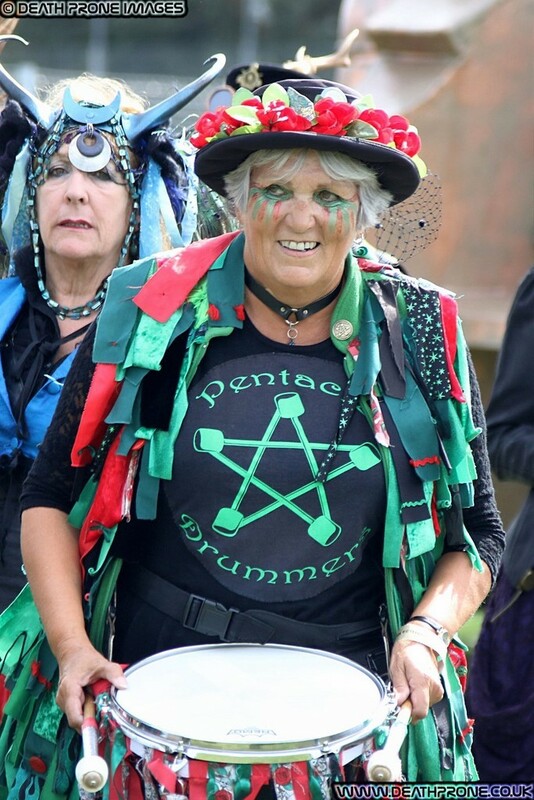 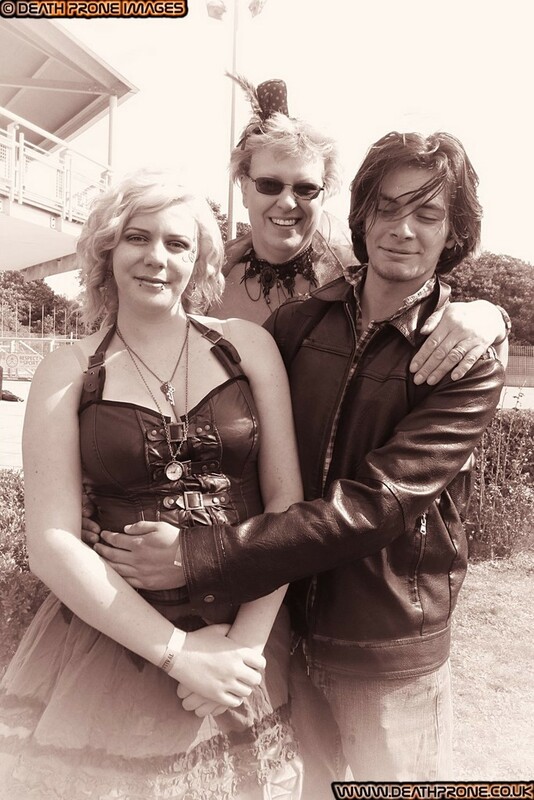 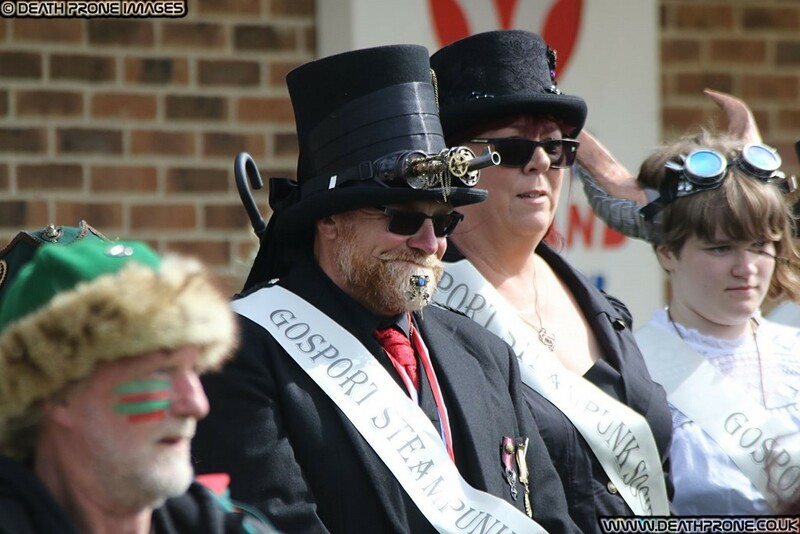 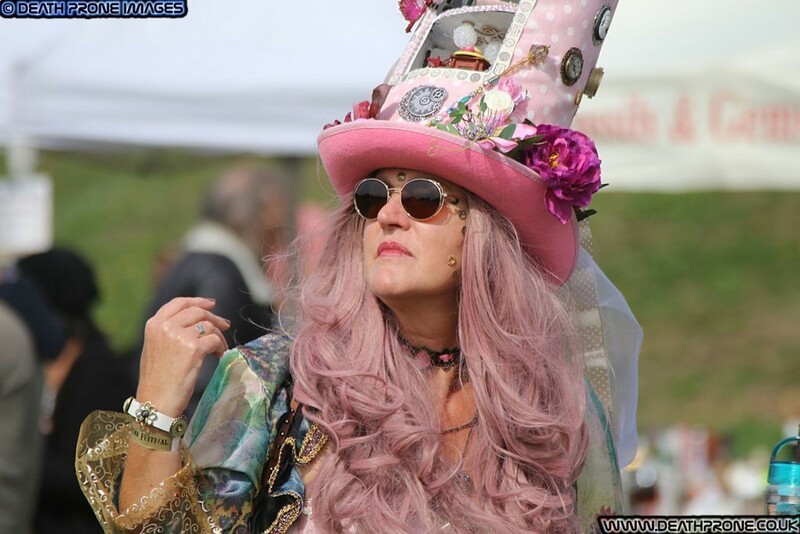 These photos of Hastings Steampunk Festival 2018 are free for anybody to use for any non profit purposes, the only exceptions are Power Events who are free to use them for anything they want, plus stall holders, performers and other people in the photos, you may use the photos with you in for any purpose. 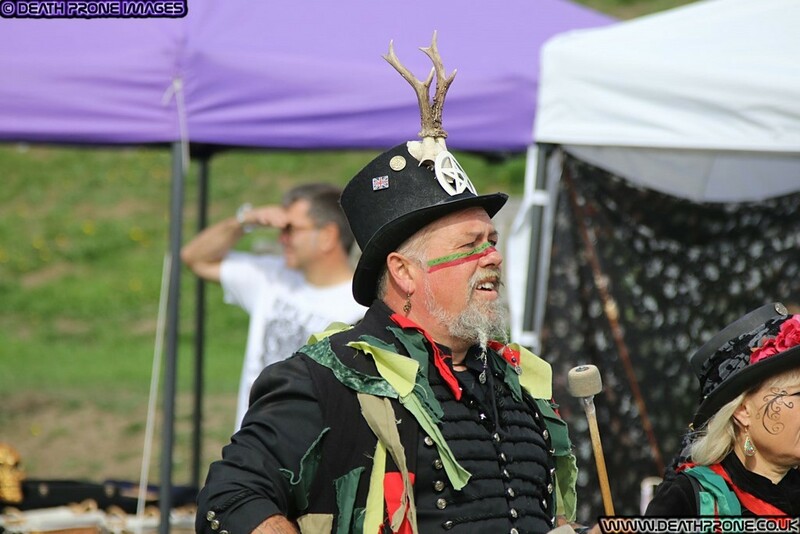 If you enjoy these photos, please consider sharing this website on social media, it costs you nothing, but means a lot to me.